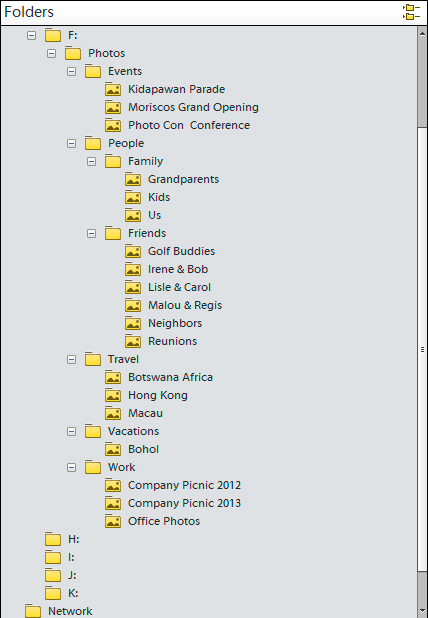 On your hard drive, create folders for main categories. These main categories should be broad topics like Events, People, Travel, Work, and so on. Create subfolders within each category. You can break up your main categories into subcategories. 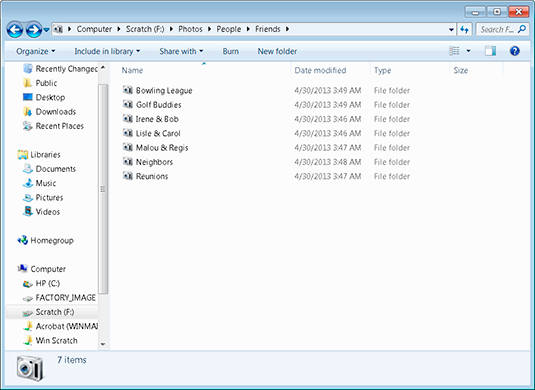 For example, a Friends folder can contain subfolders for golf buddies and neighbors. 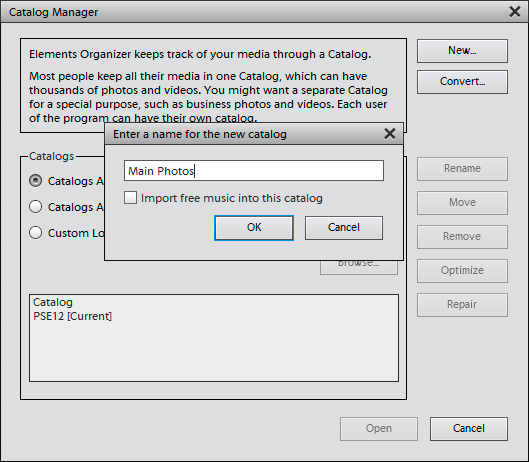 Open the Organizer and choose File→Manage Catalogs. Click New and type a name for the catalog. 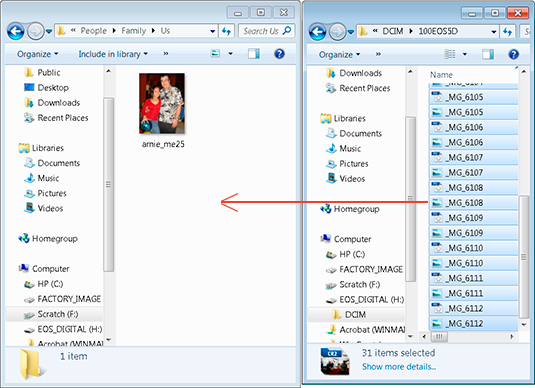 When you import files in the Organizer, all your files are saved automatically to a catalog. You’ll want to create more catalogs to keep your photos organized. Insert a media card or connect your camera. Click Open folder to view files. 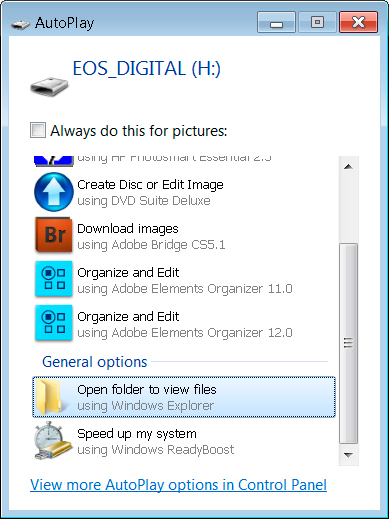 If you always select the Open Folder to View Files option here, select the Always Do This for Pictures option at the top to bypass this step. 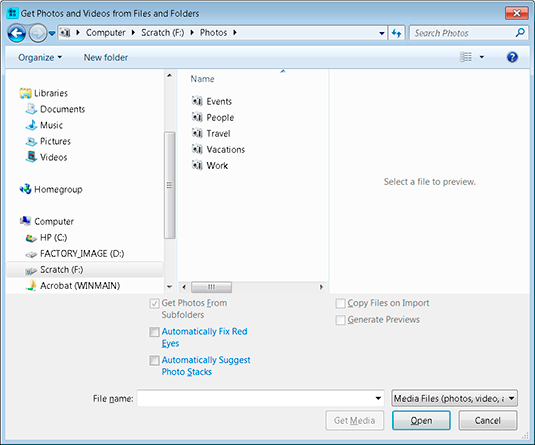 Copy files from media card and/or folders on your hard drive to respective folders in your main photo folder. This step moves your photos from your media card or camera to your hard drive. In the Organizer, choose Get Photos and Videos→From Files and Folders and import the root directory. Elements adds the photos to the Organizer, and after the upload is completed you see thumbnail images in the Organizer’s Media Browser.